This book focusses on the Force Analogy Method, a novel method for nonlinear dynamic analysis and simulation. 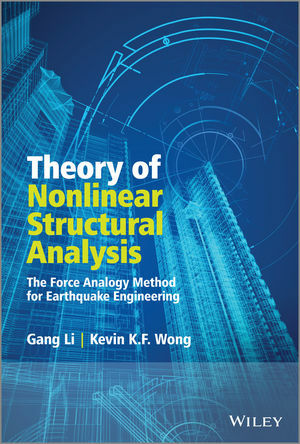 A review of the current nonlinear analysis method for earthquake engineering will be summarized and explained. Additionally, how the force analogy method can be used in nonlinear static analysis will be discussed through several nonlinear static examples. The emphasis of this book is to extend and develop the force analogy method to performing dynamic analysis on structures under earthquake excitations, where the force analogy method is incorporated in the flexural element, axial element, shearing element and so on will be exhibited. Moreover, the geometric nonlinearity into nonlinear dynamic analysis algorithm based on the force analogy method is included. The application of the force analogy method in seismic design for buildings and structural control area is discussed and combined with practical engineering.